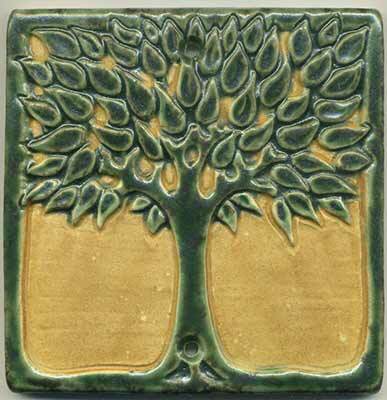 Our 6" square Art Nouveau Tree may be ordered in any single color or two color combination. 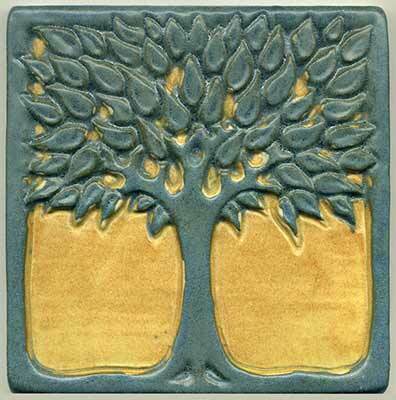 Our most popular option is the two-color combination with contrasting tree and background. The tree and border are raised design elements. Colors shown: blue-grey tree with pharsalia background; pine green tree with pharsalia background.